The US Food and Drug Administration (US FDA) has approved a number of over-the-counter drugs (OTC) based on their safety profile. Therefore, it means OTC drugs do not pose significant health risks. As a result, one can take them without the direct supervision of a healthcare professional. Nonetheless, there are certain over-the-counter drugs that can get you high and can result in substantial abuse. This guide is an informative source for the prevention of OTC abuse and addiction. 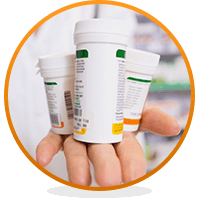 Over-the-counter drugs are medications you can purchase without a doctor’s prescription. Hence, they are also called non-prescription drugs. When you take OTC drugs following the instructions on the product labels, the chances of abuse are very low. However, with irrational use, the chance you end up abusing them and finally becoming addicted is very high. In the US, more than 80 drugs have been approved for use without a prescription. For example, common OTC drugs include cold tablets, cough syrups, motion-sickness pills, allergy drugs and certain pain medications. Non-prescription pain medications such as Tylenol, Advil, Aleve and other similar drugs don’t really get you high. Still, you might abuse them unknowingly. Cough medications: Dextromethorphan, found in cough preparations is an OTC medication that they abuse a lot. It works by changing the activity of cough center in the brain. It targets brain function. As a result, taking a large amount can cause euphoric feelings or even hallucinations. Incidentally, as your mind gets used to the euphoric feelings, you may abuse it to keep a constant high. Cold medications: Pseudoephedrine is a component of cold preparations. It helps to relieve nasal congestion by constricting the blood vessels in the nasal mucous membrane. It works as a stimulant. As a result, it can cause excitation and elevated blood pressure, people may abuse these pills to get high. Allergy medications: OTC allergy medications like cetirizine and chlorpheniramine may be used alone or with other drugs to treat allergy symptoms. Allergy medications are also used to prevent motion sickness. Therefore, these drugs are known to cause drowsiness and reduce attention. Consequently, many people take them in larger quantities or more frequently to get the relaxed feeling. Caffeine preparations: Caffeine is a central nervous system (CNS) stimulant found in tea and coffee. Additionally, they use a combination of caffeine and pain medication like acetaminophen or aspirin to treat pain, migraine, and fever. Companies also market it as a weight loss supplement. In fact, moderate consumption of caffeine increases alertness and may also improve concentration. For this reason, coffee and tea are the most widely consumed beverages. However, consuming high amounts can cause restlessness, loss of sleep and increased heart rate. Nasal inhaler: They often use OTC nasal inhaler containing the drug Propylhexedrine recreationally to get high. The use of this inhaler on the label is to reduce nasal congestion and promote airflow. Similarly, nasal inhalers produce amphetamine-like CNS stimulation. Therefore, using this drug on a regular basis may lead to addiction. What Makes OTC Medications More Likely to Be Abused? Firstly, it is the easy access. One can buy these medications without a prescription. Next, is the natural route of intake. They are easy to take as most of them are available in the form of tablets, syrups or other oral preparations. Lastly, you can have multiple drugs in a single dose. In fact, a single OTC pill may contain two or more active drugs. It might be cold tablets which contain both pseudoephedrine and allergy medications. Both of these components have potential to get you high. What Are The Warning Signs of OTC Drug Abuse? Changes in behavior: Drug abuse affects the brain and behavior. You might see your loved-one showing behavioral changes such as increased nervousness or aggressiveness without any relatable cause. As a result, you could suspect a case of drug abuse. Lack of or decreasing communication: A drug abuser generally prefers solitude and seems detached from the surrounding. Therefore, this could be an early warning sign that your loved-one is falling into the abyss of drug addiction. Deteriorating health: Drug abuse makes a person less concerned about health and hygiene. Moreover, the lack of nutrition and disturbances in sleep and mounting stress also affect their health. Loss of medications from the box: You should take note of any missing medication in the medicine cabinet. A single event could be attributed to some On the other hand, a repetitive loss could mean something more serious. Decreased performance in school or office: This usually doesn’t directly indicate a drug abuse. However, if their performance drops significantly and you cannot find reasons behind it, it might be drug abuse. In conclusion, Over-the-counter drugs don’t produce highs comparable to prescriptions medications such as Morphine, Codeine, Hydrocodone, and others. Nevertheless, continuous abuse of OTC medications could be an early indicator of future drug addiction. Watch for any sign of OTC drug abuse in your loved-ones. Regrettably, teens are more likely to start with OTC drug abuse. Later, they might move to higher levels in search of a more powerful high. Therefore, if you are a parent to teenagers, be vigilant. Above all, do talk to your doctor if you think your loved one has an addiction problem. Abuse of over-the-counter drugs is a common but a seldom-talked-about addiction problem. In fact, if you have any question about drug addiction or drug abuse, do not hold back. Please talk to the experts near you to get accurate information about specific drug addictions and their treatment options. Click here for more information.